Photo: Lichen Peak from the North Quarry wall. Eastern Mojave Vegetation Lichen Peak from the North Quarry wall. The North Table Loop is the trail in the foreground. Its junction with the Tilting Mesa Trail is at right. 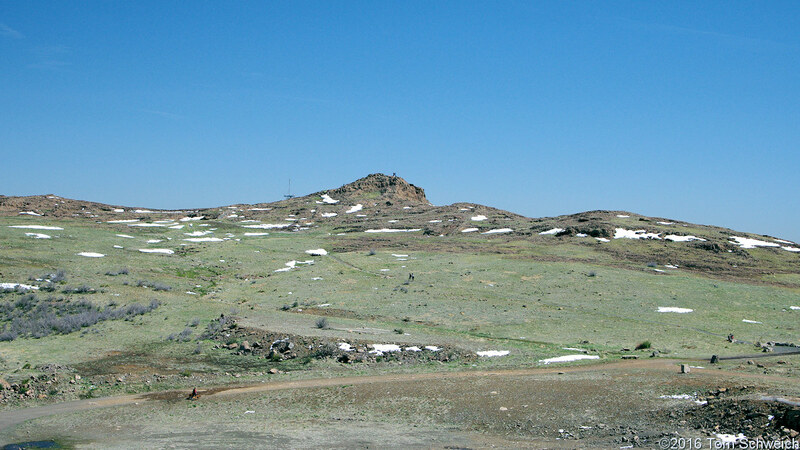 The Lichen Peak trail diverges from the Tilting Mesa Trail at extreme right. North Quarry Climbing Access Trail, North Table Mountain Park, Jefferson County, Colorado: above the cliffs. Field Notes: Friday, April 22nd. Other photos about Geography - Jefferson County, CO or North Table Mountain.